A RYANAIR PLANE bound for Dublin was forced to make what passengers described as an emergency landing soon after take off from Malta yesterday after a passenger on board was taken ill. The plane was diverted to Palermo on the southern Italian island of Sicily after a medical emergency involving a member of the Dublin-based ‘Emerald Isle’ Irish dance team. Ryanair described the incident as a medical diversion. The passenger was taken from the plane immediately upon landing, and received treatment locally. 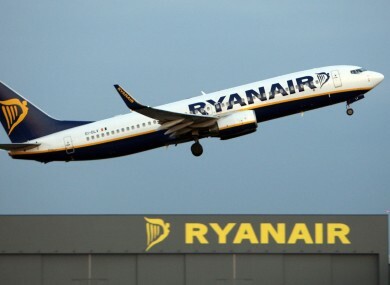 “A Ryanair flight from Malta to Dublin diverted into Palermo after a passenger became ill onboard. Another passenger paid tribute to the airline cabin crew, saying “they looked after everyone so well”. The plane was turned around within 90 minutes, and the flight continued it’s onward journey to Dublin, landing at around 4am. The passenger who took ill is said to be “doing fine,” according to another member of the dance group. Email “Dublin-bound Ryanair flight diverted to Italy after passenger is taken ill”. Feedback on “Dublin-bound Ryanair flight diverted to Italy after passenger is taken ill”.